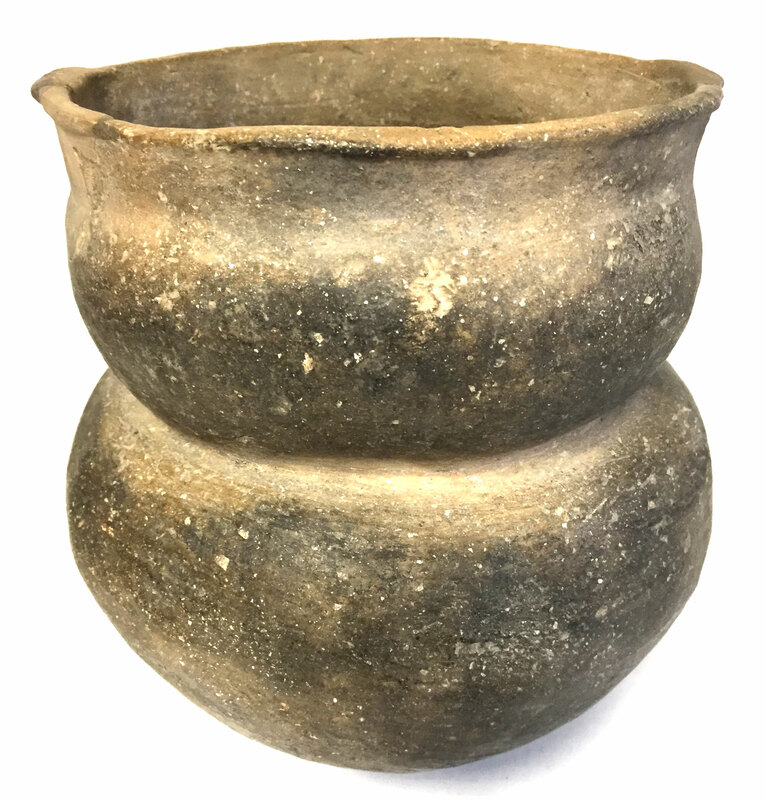 A Rare, Visibly Aged And Uniquely Made, Mississippian Compound Jar That Exhibits Surface Aging And Clay Coloration Patination, Visible Inside Aging And Aged Deposits, Aged Open Pit Firing And Firemarking, Aged Surface Shell Grog Deterioration Voids, Correct Material And Manufacture For The Area Found. Ex-Jake Vahle And Mitch Lewis Collections. This Compound Jar Has Small Handles On The Rim, A Reduced Center Where The Bowl Connects To The Jar Shaped Bottom. Open Firing Colored The Exterior Of The Vessel Except The Center. This Rare, Large Vessel Is In Good Condition! Includes A Ken Partain Certificate Of Authenticity.